Think Bavaria, beer hall, very large beers, huge servings of pork knuckle and sauerkraut and lots of atmosphere – and it's right here in East Brisbane, opposite the Gabba stadium. 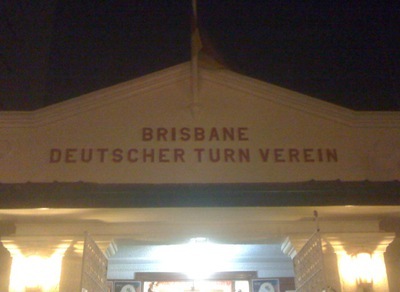 The Brisbane German Club (Deutscher Turn Verein) is very busy on a Friday evening and the crowd is made up of a wide demographic, from young professional-looking singles and couples, to families with young children, to a more mature crowd. So that makes the atmosphere fun and interesting to begin with! It's an impressive sized building with some parking and heaps of space out the front with a large beer garden-type area (more suitable for summer, obviously). For me it's really winter time when thoughts turn to plates heaped with potatoes, meat and sauerkraut or red cabbage and then apple strudel to follow. Inside, the bar area is large but almost at capacity. We headed straight for the restaurant counter to order our meals and the queue seemed to move fairly swiftly considering the busy evening. I went for the Kassler with sauerkraut and potatoes for sentimental reasons because I lived in Germany for a number of years. 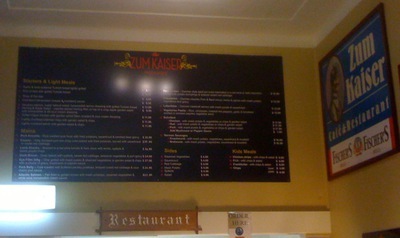 I have to report that I found my meal authentic, right down to the German-style mustard, and the servings are generous. We passed on the pork knuckles, although we saw some being taken to diners and my – they're huge! 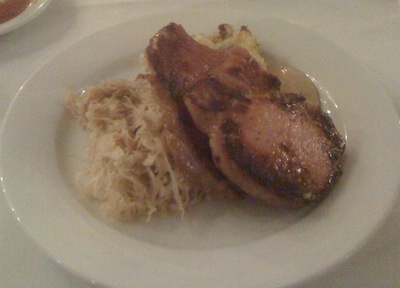 My dining partner ordered the meatloaf which was equally tasty and again, quite authentic standard German fare. 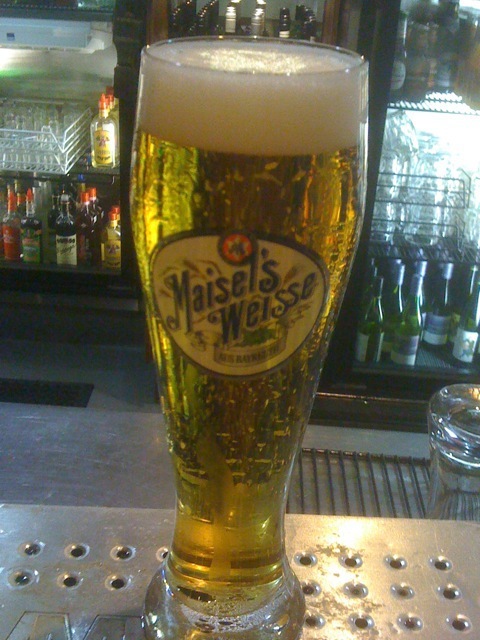 To go with our meals we had a large glass of German beer and not really knowing the brands on offer, chose one called Fischers Hell – "hell", by the way, in German means light in colour, just to avoid any misunderstandings. We grabbed our order numbers and found seats in the large beer/dining hall, which on a Friday evening is very busy. 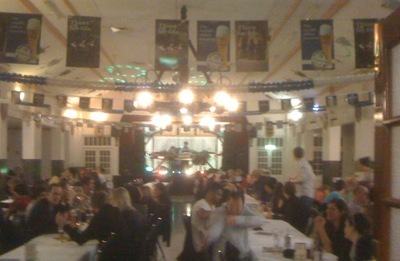 They have a guy up on stage in lederhosen pumping out "oom-pah-pah" music on an organ and he has a light show to boot. This seemed to get some people going. By the time we decided to move into the bar area to finish our drinks (these really took some drinking!) there was a group of people linking arms and dancing together in front of the stage. It's that kind of place, I suspect, where you can really indulge your inner dag – or should I say – inner Bavarian. I enjoyed the food which came quite quickly considering how busy they were on the evening. There is another area to the right of the restaurant with smaller tables and a more intimate atmosphere where you can sit and eat as an alternative to the beer hall with long tables. So there are plenty of choices. You can become an associate member of the club for $5, or you can use a reciprocal club membership to gain entry and sign friends in. Otherwise, the rules of club admission apply which means you must reside a certain distance away – I believe it is 25 kms but correct me if I'm wrong. More information including opening times can be found on their website. It's well worth a visit and judging by the numbers on the Friday evening I was there, it gets the popular vote. Like any self-respecting German club, they have an annual Oktoberfest and they also do Christmas in July. 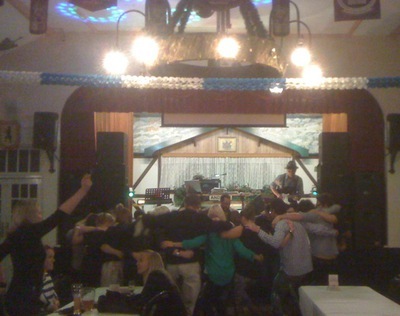 And like any self-respecting "Turnverein", they have numerous groups attached to the club should you fancy delving into such delights as shoe-slapping or bell ringing with the Alpenrosen Dance Group. 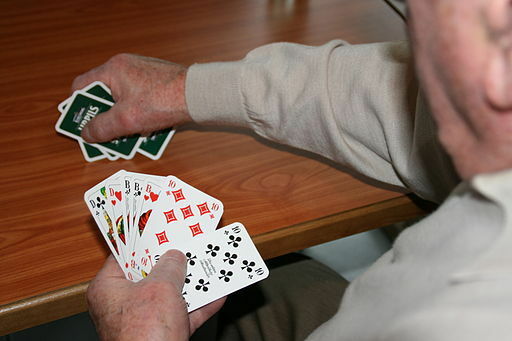 There is also a choir group and a group that meets to play the German popular card game of "Skat". Check the website under the menu item "activities" for more details. A smashing article from a lady who knows Germany well and who lived in Germany for many years. 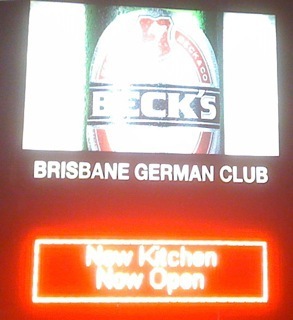 Queensland Club licensing rules actually state that you need to be a member of the Club if you live within a radius of 15km (not 25km). Or you are a member of a reciprocal Club or a guest of a member.